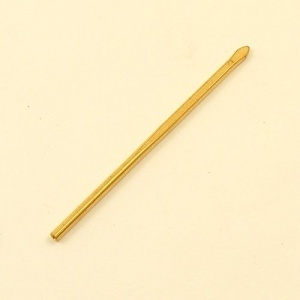 Perma Lok lacing needles are made from solid brass and have an internal screw thread, which is screwed onto the end of your leather lacing, giving a smooth transition between leather and needle, that is easy to pull through the holes in your lacing project. 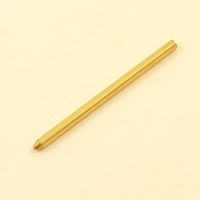 This is a regular perma-lok, the smallest in the range and suitable for lacing of 1.5-2mm. 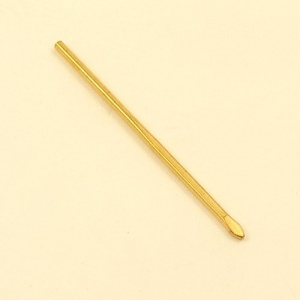 It measures 55mm long and the flattened point of the needle (the widest part) is 2.4mm across. There are two far bigger sizes in the perma lok range, so please take a look at the related items below if you are working with heavy lacing.